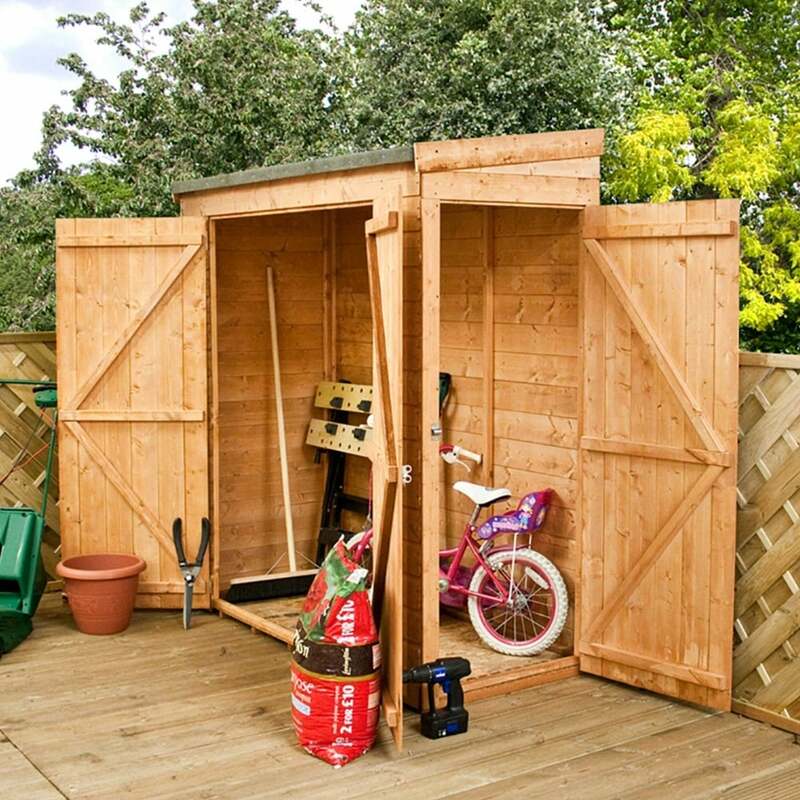 Mercia 6 x 2’6 Shiplap Pent Storage with Side Door: The Mercia shiplap storage unit is the perfect solution for those who need additional storage space. The Mercia 6 x 2’6 storage features braced double doors for practical access for manoeuvring larger items and a braced side door for ease. The Mercia 6 x 2’6 storage unit is constructed from 12mm tongue and groove cladding and is delivered flat packed for easy self-assembly. The Mercia pent storage comes in this traditional pent style roof, built from 9mm solid sheet boards and also includes sand felt roofing material to preserve the building from unpleasant weather conditions.